Of course, the title track by Ray Parker Jr is the most famous single from the album which held the #1 spot on the US Billboard pop chart for 3 weeks in August 1984. The single was also a Top 10 hit in 16 other countries and allegedly added $20 million to the film's box office revenue. Heavy rotation by MTV of its music video featuring several celebrity cameo appearances also helped to make the song widely popular. It was also a certified gold record (500,000 copies sold) by the RIAA and nominated for Best Original Song by the Academy Awards in 1985. But was it original? 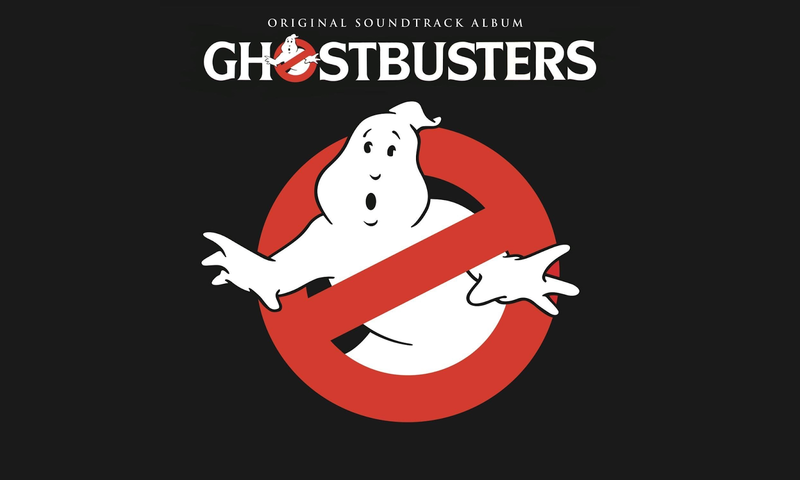 As a kid, I owned a 45 record single of "Ghostbusters", but never listened to the entire album until much later. Now, I've really grown to love "Saving the Day" by the Alessi Brothers and "Magic" by Mick Smiley. I also stood in line for Record Store Day in 2014 to get my hands on a limited edition 10" glow-in-the-dark vinyl single but it was totally worth it! Rediscover Ghostbusters this week via YouTube below or subscribers can listen to the full album for free on Amazon Prime music. You can also join me by posting your favorite tracks or memories in the comments.